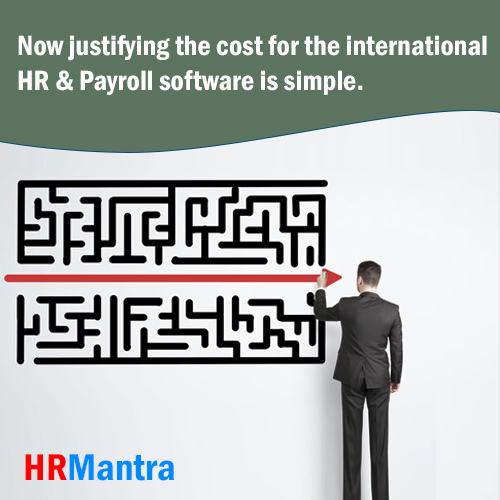 Now jusifying the cost for the international HR & Payroll software is simple. To Manage a global level workforce isn't easy. In an organization with geographically dispersed employees, HR management has to deal with the challenges of managing employees consistently against a backdrop of contrast languages, varying currencies, and diverse working patterns - not to mention employment and hiring law and regulations that vary widely from country to country. So why is it that when it comes to developing effectiveness and efficiency of Human Resource practices, so many small and mid-sized international companies are making do with a patchwork of local Human Resource solutions, using Excel spreadsheets to fill the gaps and bring the data together? This approach is not good for the businesses and organizations - or surely for the HR people and line managers who have to deal with employee management processes on regular basis. It's incoherent, inconsistent, fallacious - and extensive hard work trying to keep on top of everything. Part of the problem is that senior management perception of Human Resource software solution is still routed in the past when global level HR software solutions were expensive to purchase, and even more time-consuming and expensive to implement. Thankfully, progress in Human Resource software solution has now made global HR solutions available to evaluate pretty much any national/international business. HRMantra's global feature rich HRMS solution is a big boon to the organization who are goals driven. The product is purposely designed to implement quickly. In just a few weeks or months an organization will be up for running and supporting a global level workforce. 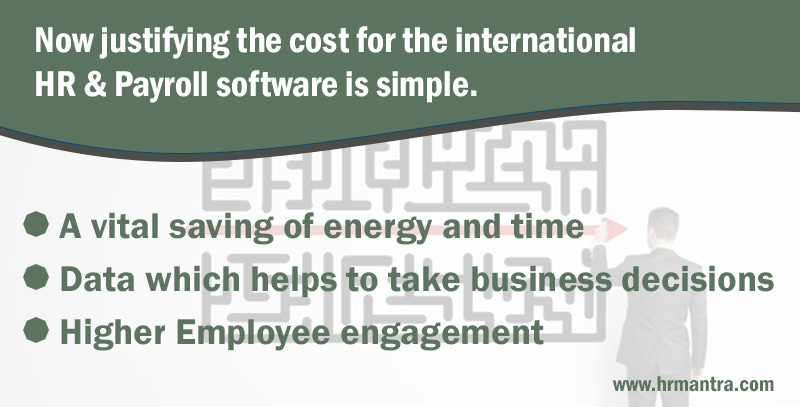 For this, there is no need for specialist skills or an expensive setup service.So, with budget and resourcing objections out of the way, what are the key benefits of having a global HR system? Disintegrated approaches to managing your HR processes and HR data have a cost hidden behind it. Every time you have to do manual processes or you have to double enter the existing data because different systems talk with each other wasting time HR team or line managers involved in same. Commonly it is seen frustration arising apparently because duplicating data is not always easy thus causing errors or you find out there are inconsistencies in your systems. HRMantra software solutions provide one prime source of the 'truth' and give companies the strength to easily pull off and analyze the data they need to support decisive business decisions. At a time when organizations are frequently looking to HR department to support their growth and become agiler, this is invaluable. The HR system can provide a full overview, for example, of the skills available in the company, where they sit presently and where the actual gaps are. Data on salary bill, employee turnover, and the headcount are easily accessible, allowing the organization to make informed and quick decisions about recruitment, succession planning. A lot of World Wide HR systems come with the performance that allows employees to combine and conspire across geographical and bureaucratic boundaries. It becomes easy for people to find the needful information and a real quick response to their questions. Best of all, they crack down internal pits, allowing staff to recognize who might help them move a project forward in the business, what is their reporting line and where can they find them. It leads to a more chained, synergetic workforce which exhibits better and so we now more easily share information and make the connection with people other than those at work. The self-service functioning that comes with major global HR systems also makes it extremely easier for employees to manage the trivia of their daily working lives. With a Cloud-based system, they can log in from wherever they are to update their personal data, record sickness, book annual leave, or check on the detail of an HR policy. This kind of anytime, anywhere access heads to a way more modernized operation - and is something employees, particularly the 'digital inhabitants' of Generation Y, have come to expect. They feel required, can see the company is trying to make it effortless for them to manage themselves and are consistently more engaged as a result.